FINALLY… Spring has sprung. YAY !!! VERY happy about winter being past. It’s still a little cool in the air on certain days though, so I am still wearing long sleeve stuff and lightweight wool jackets. 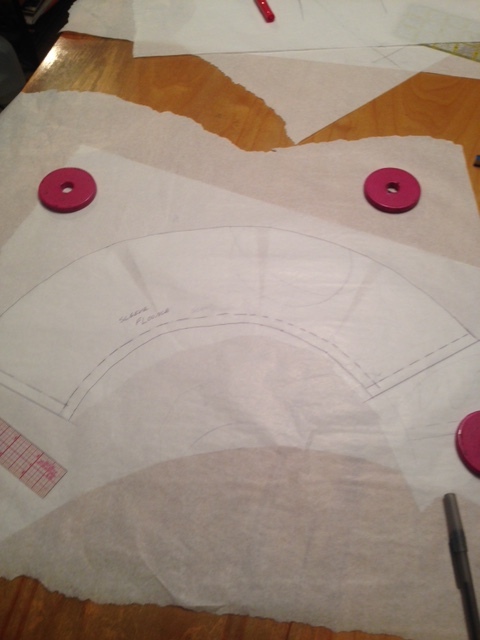 Simple, NOT “reinventing the wheel” type of top. White textured silk from B&J fabrics, NYC. Very comfortable to wear. Should’ve had it sewn in time to wear to church on Easter Sunday, but LIFE got to be LIFE and I didn’t get it done. NO WORRIES. I will dress it up with slacks or even “dress it down” with my hair in a bun, pressed jeans and Dansko clogs for causal Sundays. We’ll see. Sewing makes it SO NICE to do what I want with my own wardrobe. This “bell” sleeve variation or “tulip” sleeve variation as some would call it, is kind of a different style for me, but with the spring weather this season I decided I wanted to push the envelop of what style I would wear. I think I like doing this fashion math thing. I might try mixing stuff that seems crazy to mix ( like 1940’s with 1960’s ..) and see what I come up with. I at least hope not to get bored in the sewing room. Is my version of fashion math going to create earth shattering “never before seen styles”? Nope! I am sure I got folks lookin’ at this top and saying ” I got a ( Vogue, Burda, pattern “X” fill in the blank company…) pattern for that ! ” Mazeltov !! Then we’ll both look good and have fun wearing this top’s style and celebrate that we know how to sew. 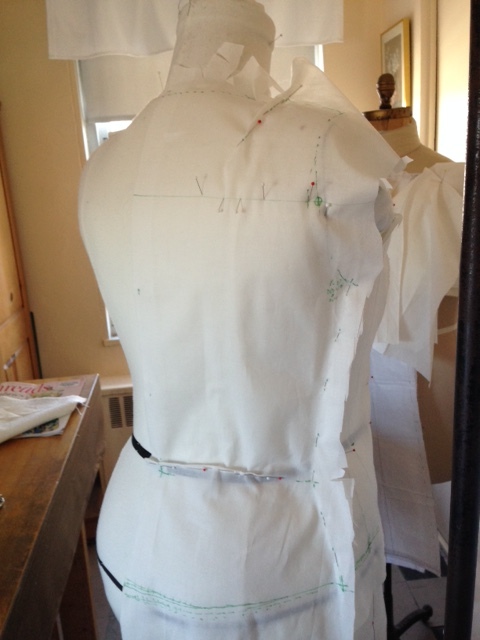 I enjoyed draping the pattern for the top and trying out a new recipe I got for drafting the basic sleeve pattern ( –recipe soon coming your way Cindy !). I took the basic recipe and modified it to include the bell/tulip at the bottom. Hand stitching on the lining. Yep- can be done by machine, but what else would I do watching TV? Ok, call me crazy. 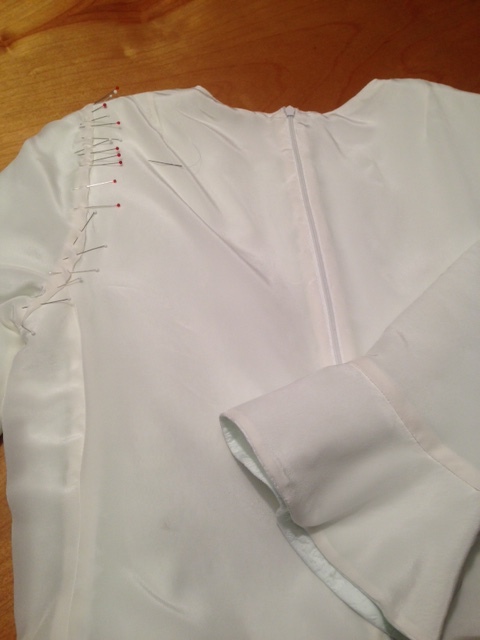 But I like investing hand sewing into the garment. 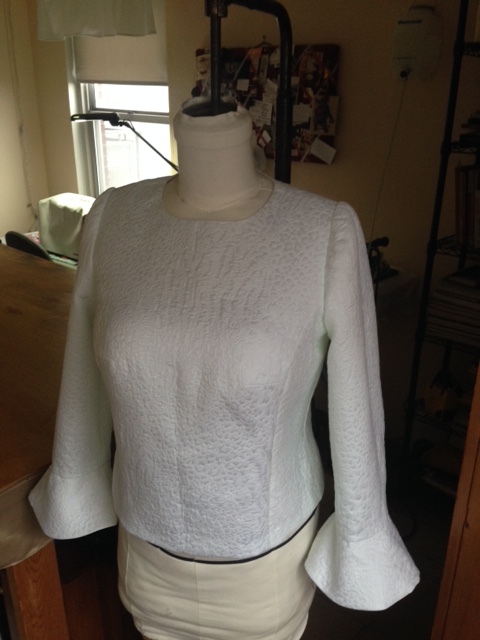 First spring top done. Now on to more! Its very beautiful Sharon. I didn’t know it was a self drafted top. Will do. You may end up being my “shutter bug”. See ya soon! There’s no reason to apologize for making classic, simple styles. 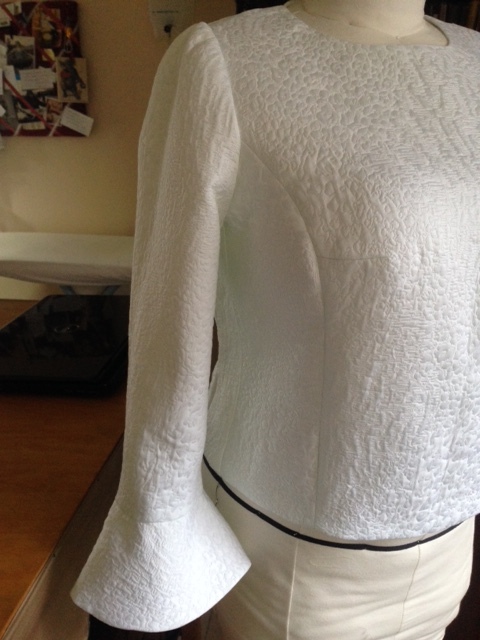 Knowledgeable sewers understand that the challenge (and not everything has to be a challenge) lies in the fitting and the handling of a more difficult fabric like silk, especially in white. Thank you so much! And yes I agree with you about the handling of the silk. 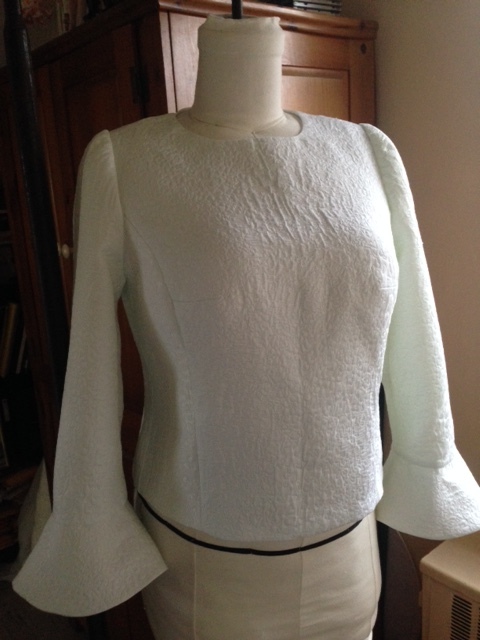 With this top ( and the whimsical fashion math I was trying to achieve…)I have tried to do my best. YEP- you’re right!! 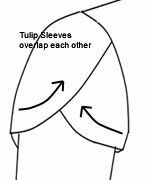 The picture you have linked me to shows me what I had learned was called a PETAL sleeve. Pretty much because it looks like floral petals overlapping on the cap and bicep area of the arm, and looks particularly like that of a tulip inverted and hanging from the armscye. 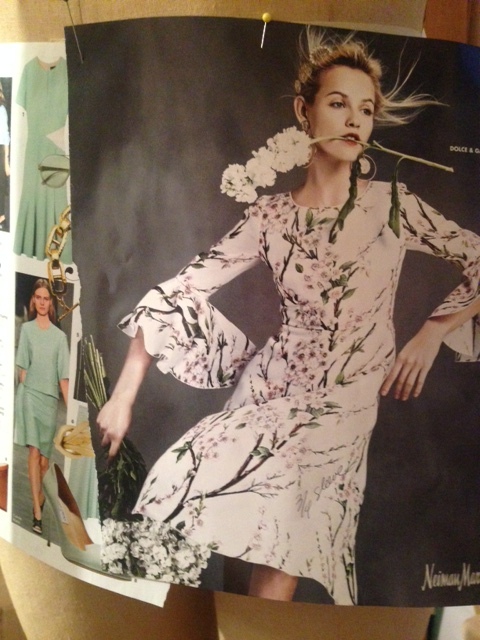 On various occasions ( depending upon just WHO is doing the naming…) I have seen the sleeve in the top that I have created referred to as a “bell” sleeve variation or “fluted floral like sleeve” variation ( referencing it to either to the young tulip bud or the Poppy flower blossom.) 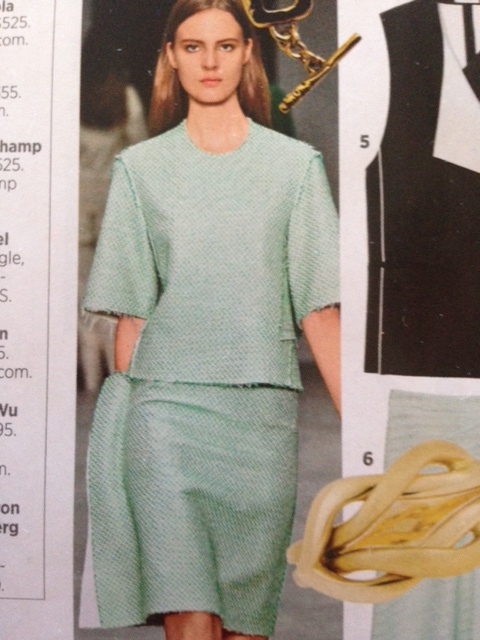 or ” low tulip cuff” variation”. Some even calling it a “flounce sleeve” variation. Knowledgeable sewers have taught me that the more I learn and become skilled in the sewing arts, the less my sewing knowledge has to become “written in stone” because I have a secure core knowledge base of the foundation basics of the art. 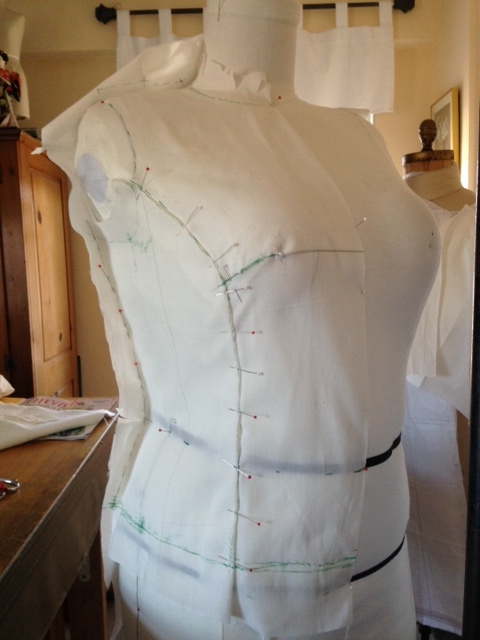 Creativity and creative expression in sewing then has room and a “jumping off” point from there. I probably would take the time and care and argue the bountiful semantics of a sleeve name when teaching a student. 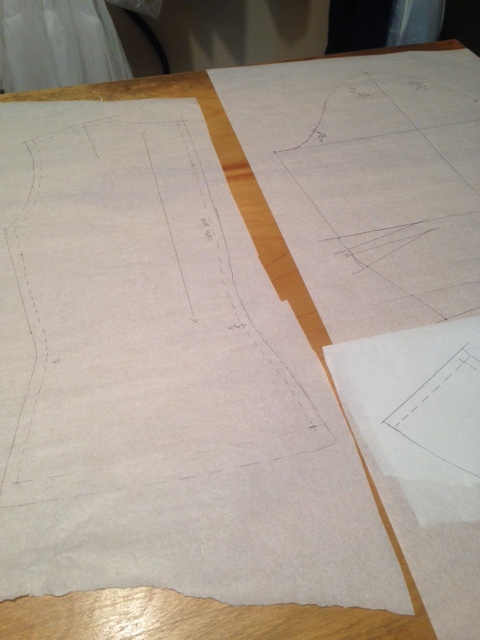 At the moment I am relaxing and enjoying staring at the results of my fashion math. Thanks again for your encouragement and complement. Happy Sewing !! 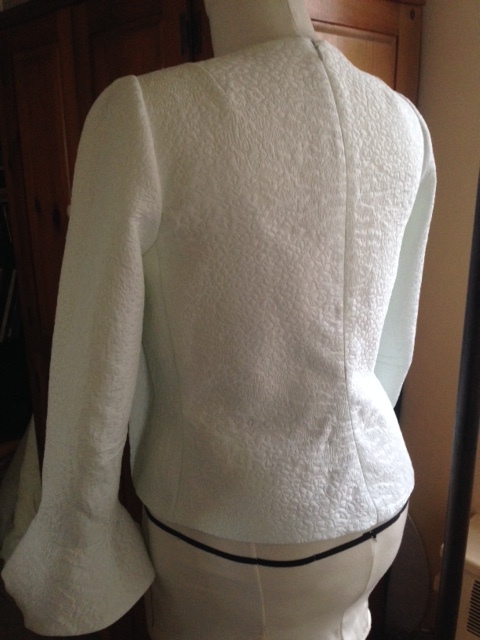 Another lovely garment Sharon! It’s great to see great fitting garments out there!! And yes, like Cindy, I am waiting for the recipe :-).